Home > Blog > Ask the Doctor: Does My baby have an ear infection? 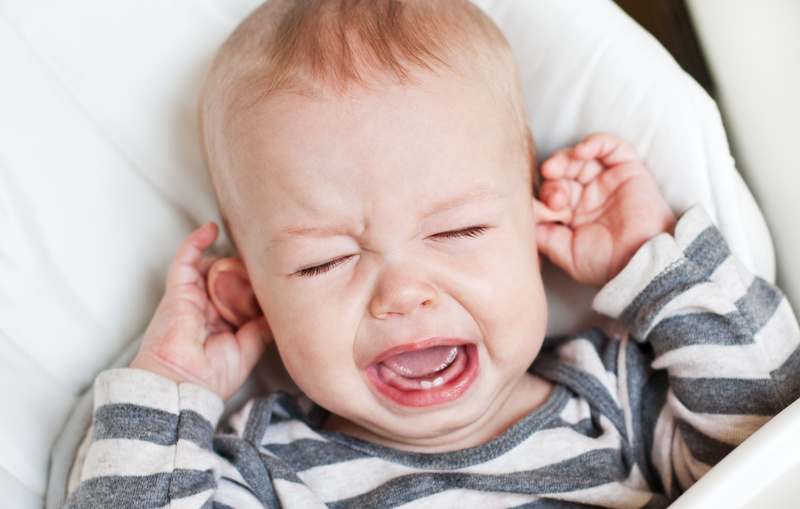 Ask the Doctor: Does My baby have an ear infection? As a parent, there’s nothing worse than dealing with a sick baby or toddler who can’t tell you what hurts. Is it simple teething pain or a virus making them cranky, or is it an ear infection that needs medical treatment and antibiotics? Despite conventional wisdom, some kids with ear infections never pull at their ears. According to Dr. Dan Phillips, owner of MedAccess, knowing how to distinguish between the various types of infections and their symptoms could help you decide when your child needs a trip to the doctor. Phillips discussed children’s ear infections with Diana Pressey, providing parents with information necessary to deal with the pesky and painful infections. Diana Pressey: Are all ear infections the same? Dr. Dan Phillips: No, as in most cases in the human body, the difference is always: is it viral or is it bacterial, and, in some cases of ears just being stopped up, is it allergic? In children, particularly the very young, we always are concerned with whether it’s bacterial versus viral. Pressey: What’s the difference between an ear infection and allergies? What are the symptoms to watch out for? Phillips: In many cases of, for instance, allergies in older kids, people will just get their ears plugged up and a runny nose, and a lot of the time, that’s just allergic symptoms. In many children, and it’s a significant percentage, they’ll wake up with fever and they may have had a cold, and they’re crying and obviously uncomfortable. And when you look, it’s a red, bulging eardrum, which is consistent with an infection. Pressey: How does an ear infection occur? Phillips: All of our upper airways — the nose, the sinuses, the throat, the ears — are kind of interconnected anatomically, and a bacterial ear infection gets into the inner ear through the connections of those sinuses and throat and so forth. Pressey: How are ear infections treated? Phillips: Well, the first treatment for any ear infection is to take care of the pain. And typically, appropriate doses of Tylenol or Children’s Motrin take care of that. In some cases, something stronger is needed, but in the vast majority, simply getting Tylenol or Children’s Motrin will take care of the pain. If we think it is bacterial — that is, the child has a temperature, we see a red, bulging eardrum that maybe even looks like it has some pus behind it — we’ll treat it with an antibiotic. Ear infections are one of those infections where (after) just a couple doses of antibiotics, the child’s feeling better. Pressey: If a parent notices those symptoms, what should they do? Phillips: We see this in the emergency department all the time: it’s 3 o’clock in the morning, a child wakes up screaming, he’s hot and it’s just uncomfortable, and the parent brings him into the emergency department. Every parent has probably experienced this at one point or another. Their child is hot and feels sick, and that’s what it is. When a child’s tugging at their ear or they have a fever that can’t be explained and they’re uncomfortable, they need to be checked. There are a number of potential causes, but certainly ear infections are way up there on the list. Pressey: How would treatment of an ear infection work at MedAccess? Phillips: The big thing again is the ability to get in and get out. We can see them quickly after-hours and on the weekends when oftentimes their primary care physician’s not available. Or if they don’t have a primary care doctor or they’re new to the area, any referral to an ENT (Ear Nose and Throat doctor), we can get them that as well. Pressey: What is the worst-case scenario with ear infections? Phillips: The thing that we are concerned about is when kids come in with recurrent ear infections, more than several in a cold season. If we see a child this winter that has three or four ear infections between now and spring, they may well need an (Ear Nose and Throat) referral. Probably the biggest potential implication of this is hearing loss. So if you’re talking about a young child, let’s say a three or four-year-old, and they’ve had recurrent ear infections and now they’re getting hearing loss because of scarring of the inner ear, and that will affect them in the classroom. Pressey: Could a baby show symptoms of an ear infection without actually having one? Phillips: In a child, particularly over six months of age, you start thinking of teething pain. When they start cutting their teeth, they can get temperatures and they can get pain and they get little runny noses, and many times, their discomfort is coming from cutting teeth. Pressey: Do you have any words of wisdom for those with kids who might be prone to these infections? Phillips: When they start getting a little bit of discomfort and a fever, get the Tylenol and Motrin in them. If they’re comfortable, wait it out a day and see what happens. We really would like to not put them on antibiotics unless absolutely necessary — not every ear infection needs antibiotics. Get them comfortable and see where things go; it might clear after a day or two. If it doesn’t, bring them in to get them checked out. Avoid the long wait for your primary care physician by visiting a MedAccess Urgent Care location in Chapel Hill, Roxboro or Youngsville to get help for your child. Walk-in or skip the wait entirely by checking in online.